WARNING : this product can expose you to certain chemicals, including Bisphenol A (BPA), which are known to the State of California to be carcinogens and/or cause reproductive harms. WARNING : this product can expose you to certain chemicals, including bisphenol A (BPA), which are known to the State of California to be carcinogens and/or cause reproductive harms. VIEWSONIC VX3216-SCMH-W-2. CARRIES VIEWSONIC MANUFACTURER. CURVED 32" FULL HD MONITOR. DISPLAY SIZE (IN.). VIEWING ANGLES. VIDEO SIGNAL. ON SCREEN DISPLAY. 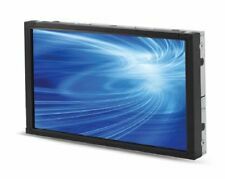 VX3216-SCMH-W Display, 60W AC/DC Adapter, Power Cable, HDMI Cable, Quick Start Guide. It was set up, but never used. What you see is what you will get! Up for sale is a. 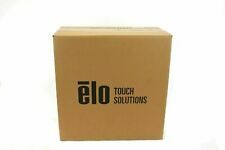 Used Elo E805638 1541L ET1541L 15" LED Open-frame LCD Touchscreen Monitor. Tested 100% working. May have minor scratches on screen that DO NOT affect functionality, however most are scratch free. 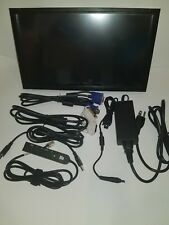 Comes with power supply, new dvi cable, new vga cable, new usb cable and elo control buttons. AccuTouch (Worldwide) - E805638. Elo Remote OSD (RJ45) - Elo P/N: E483757. China power brick - Elo P/N: E558862. Taiwan power brick - Elo P/N: E818655. UK power brick - Elo P/N: E180092. Japan power brick - Elo P/N: E182546. VT168N 15.6" 1366 x 768 USB LED Monitor. Product code: VT168N. Display resolution 1366 x 768 pixels. USB Pens / SD Cards. Hanns.G HL274HPB 27" 1080p 5ms VGA/HDMI/DVI LED Monitor (HL274HPB). Hanns.G HE247DPB 23.6" 1920x1080 5ms VGA/DVI LED Monitor (HE247DPB). Manufacturer: LG. Colour revision algorithms are used to help those with colour weakness who have difficulty distinguishing certain ranges of colours can view all the important content. Flicker Safe and Reader Mode help maximize visual comfort by protecting your eyes from harmful blue light and reducing the flicker level to almost zero. ASUS VT168N point touch monitor touch screen monitor 39.6 cm (15.6") 1366 x 768 pixels Black Multi-touch - VT168N. The ASUS VT168N touchscreen monitor combines 10-point multi-touch capability with superb image quality, flexible connectivity and great ergonomics. Monitor & TV. we do not take any responsibilty after this. you can buy in set of 6 max. Desktop PC. PC Components. Why Choose Us! Audio Visual. Tech Data Product Data Sheet - ASUS VT168H(VT168H). User Manual - ASUS VT168H(VT168H). The ASUS VT168H touchscreen monitor combines 10-point multi-touch capability with superb image quality,flexible connectivity and great ergonomics. Model: VT168N. Asus Monitor 15.6 VT168N90LM02G1-B01170 / UPASU16LSVT168N. Kąt widzenia poziomy: 90 °. Częstotliwość pozioma max. : 80 kHz. Częstotliwość pionowa min. : 50 Hz. Częstotliwość pozioma min. : 30 kHz. Iiyama G-MASTER GB2888UHSU-B1 Gold Phoenix - LED monitor - 28". Tech Data Product Data Sheet - Iiyama G-MASTER GB2888UHSU-B1 Gold Phoenix(GB2888UHSU-B1). Product Data Sheet - Brochure - Iiyama G-MASTER GB2888UHSU-B1 Gold Phoenix(GB2888UHSU-B1).